Articoolo makes article writing simple by using technology that creates unique, proofread high-quality content from scratch simulating a real human writer. The obvious and unavoidable issues of these so-called ?solutions? to writing content has led to the creation of something quite spectacular. Something that actually works. A magical machine that writes you content upon request. Articles on the topics you want and at the lengths you need in less than one minute. Sounds like a real fairy tale, doesn?t it? So now the dream has come true. 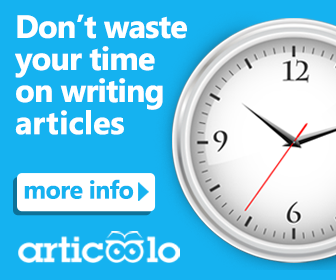 Articoolo?s automated content creation tool will do exactly that. All it requires from you is to type in two to five words relating to the topic of your choice, determine the length of the requested article and voila! Our tool will create the article for you. The result will be 100% unique, proofread and of high quality, as if a human wrote it. Articoolo?s Algorithm uses Artificial Intelligence AI methodologies so it can work like a human brain when writing an article. First, it will analyze and understand the context of the topic. Then it will find the best base resources, and extract sentiment and important keywords in order to find more related materials. Next, the algorithm reconstructs content from all different sources and finally it rephrases the new coherent piece. In order to conduct a proper rephrasing process Articoolo?s Algorithm uses an unsupervised learning technique for automatic detection of text entities ? even with entities which are unknown to the system.